"All Of The Job Even Wanted To Hoover Up"
"On Time, Polite And Professional. Would Highly Recommend." "Seemed Very Professional Gave Advice Over And Above The Job Itself. 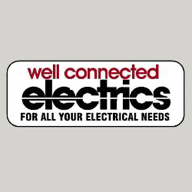 Quick And Efficient And A Nice Man"
Need a Electrician in Paignton?